With 30 years of experience, Andamur is the comprehensive solution to road transport companies, offering the best product and service, both in the supply of fuel, as in the management of tolls, tax recovery, hospitality, rest and other solutions on the road. 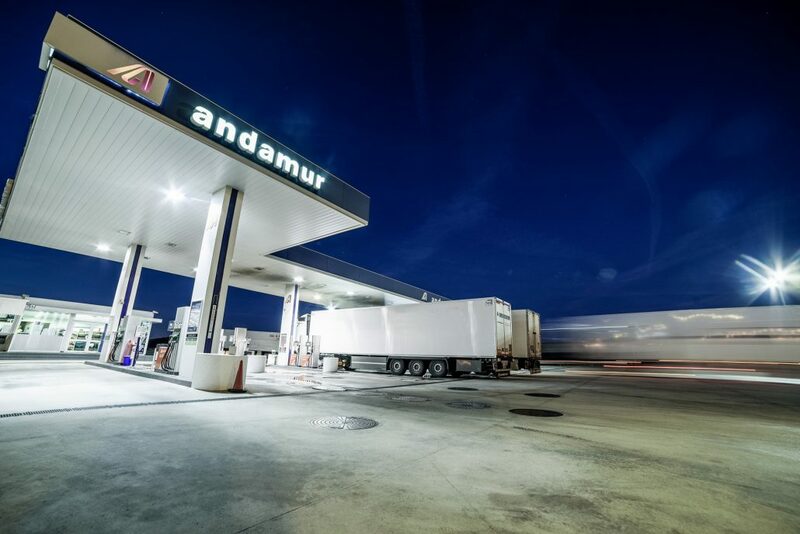 Safety, Quality and customer care are essential aspects for Andamur, a full range of services to meet the needs of both the transport company, as the driver, with service areas located in strategic areas for the logistics sector and road transport. Pioneers in security systems, in Andamur we are aware of the great challenge that this poses, not only to the transport company, but also for the driver of the vehicle. For this reason, we are continuously working on the improvement of services in this area. Our car parks include comprehensive security measures to encourage the rest of the driver, while avoiding risks to the enterprise. Vehicles entries/exits registration, through a license plate reader system. We guarantee absolute control of the fleet, avoiding fraud in the refuelling. The safety of our clients’ is our success, that’s why we innovate constantly in the security measures that we offer them. Quality is a clear signal of Andamur. All products and services overcome strict controls both internal and external. Paying attention to the smallest detail to not only meet, but exceed customers expectations . In our stations is offered an attended service, establishing a personal control of transactions and strategies to reduce waiting times, thanks to the multi-product lanes. Moreover, it is carried out an exhaustive after-sales control. Through its own staff of Andamur, we offer our clients a completely personalized attention (taking into account the scope of business). Our Customer Service department works 24/7, resolving any incidence in record time. In addition, Andamur offers a complete service and quality to the driver that passes through our service areas, either to continue their way or to rest in our facilities. All our service areas are open and served 24/7. Besides, most include car parks, restaurants, laundries, showers, even hotel in San Roman and supermarket in La Junquera. 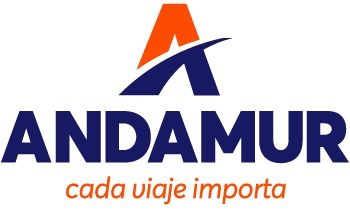 Andamur is committed, in this way, to a policy of growth and expansion of services; offering a integral solution to the transport by road – at the national and international levels; with the sole aim of providing facilities to the customer and solutions to the needs of the sector.